Show some love for the creator of our childhood! Our common interests for the beautiful animation of Studio Ghibli inspired us to pay homage to this master of the arts. 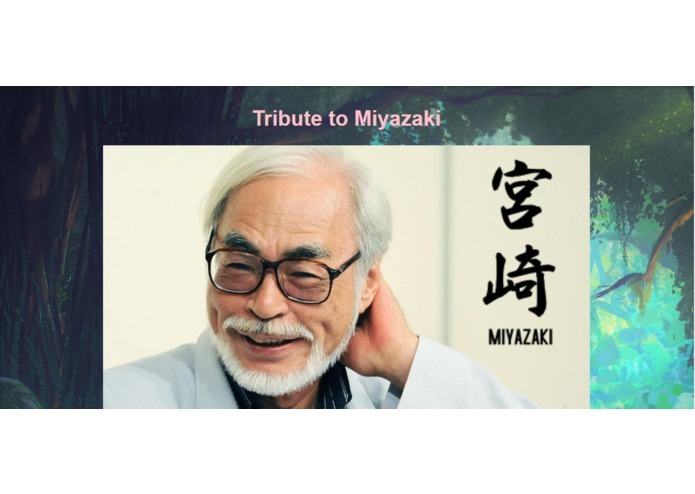 It showcases the various achievements of Hayao Miyazaki. Our website is amazingly aesthetic and absolutely beautiful. It does a fantastic job of displaying a renowned artist's greatest, accomplishments. We feel that we should also pay tribute to Studio Ghibli's recently lost member, Isao Takahata.